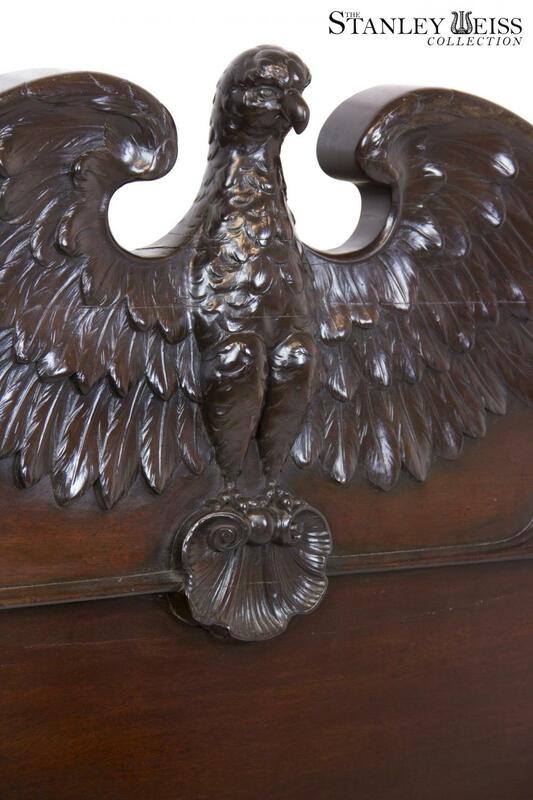 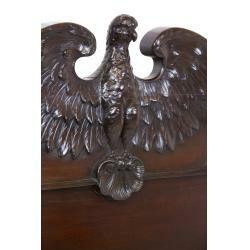 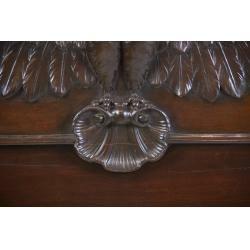 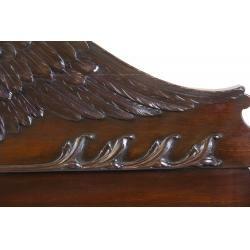 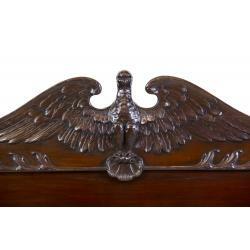 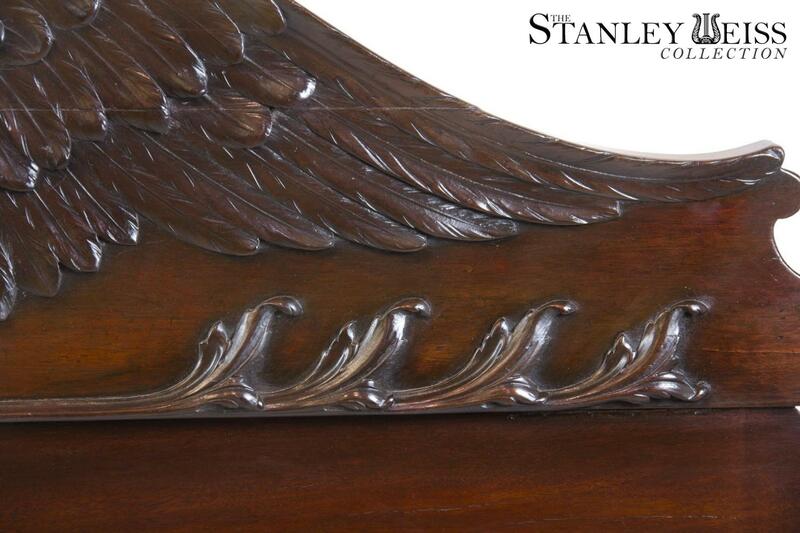 This bed relates to a grouping of finely carved classical beds with monumental eagles. We have handled one other such bed (see sw01801). 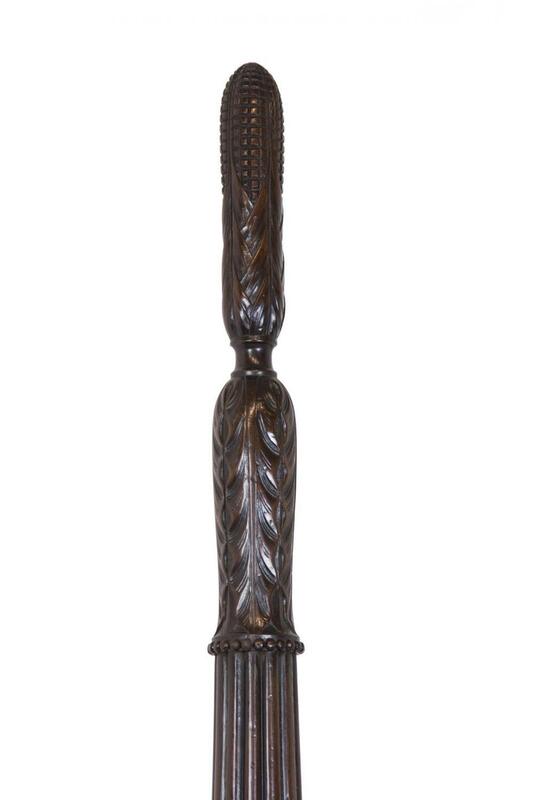 Note the finely carved cornstalk posts; nothing was spared, and all four posts are so carved. 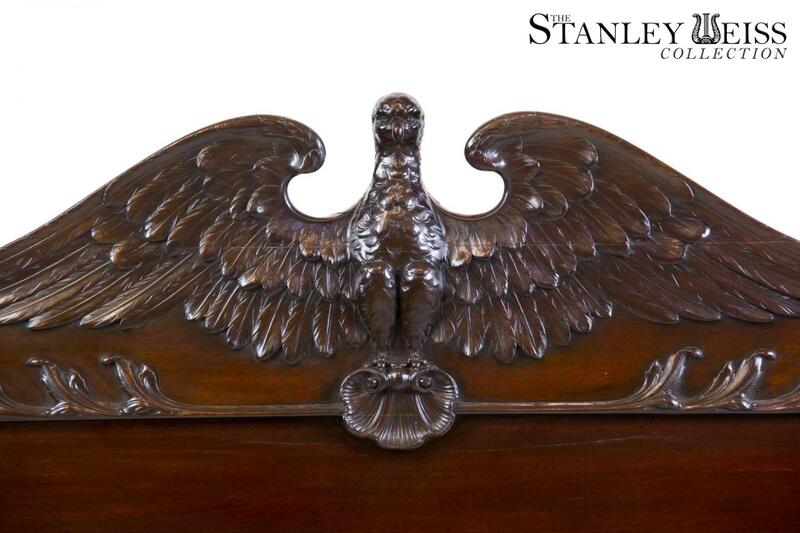 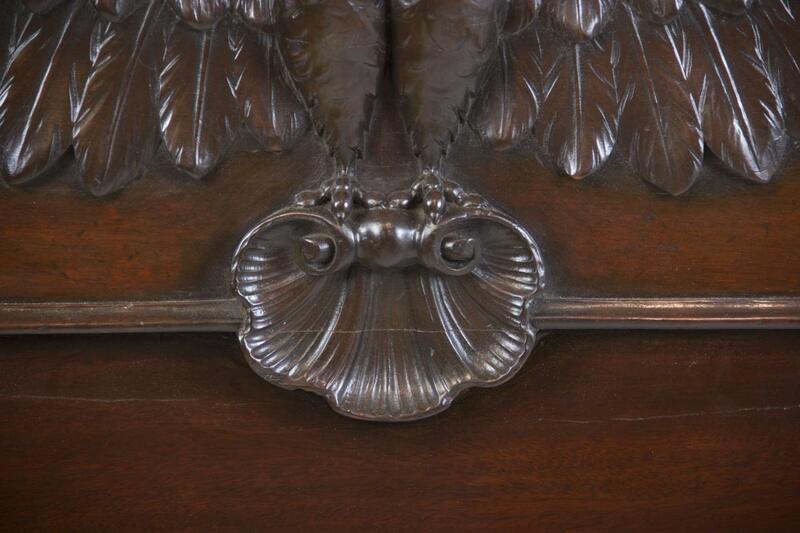 Also note the carved leafage details below the eagle's wings, and the highly sculptural shell below. 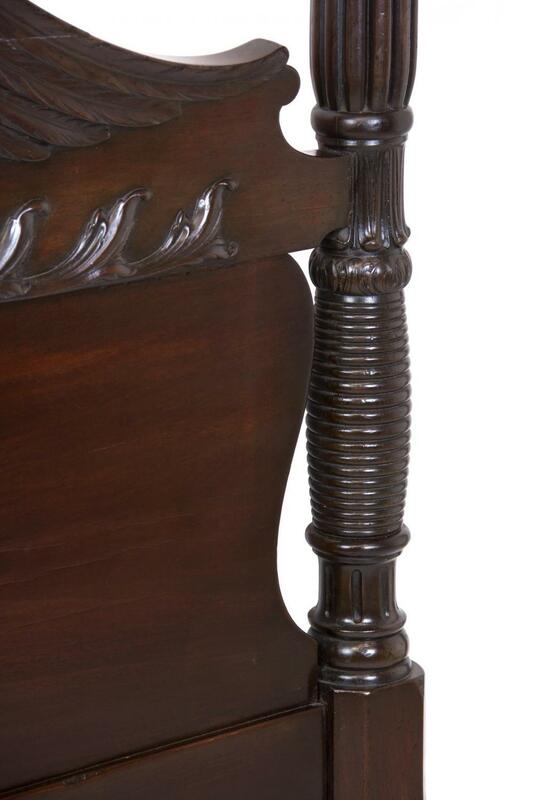 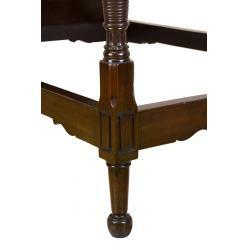 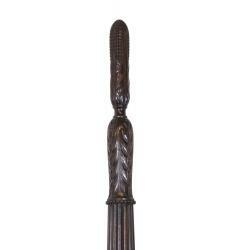 The posts are additionally smartly tapered and finished down to the turned ball feet. 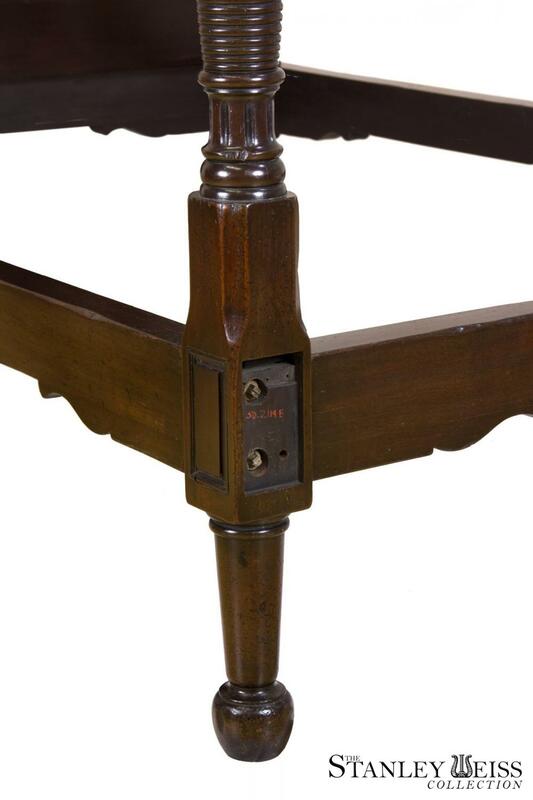 Note that, in lieu of a traditional brass coverplate, which covers the bolts that hold the corners of the bed together, this bed has small, removable raised panels, one of many find details in a cabinetmaker's tour de force. 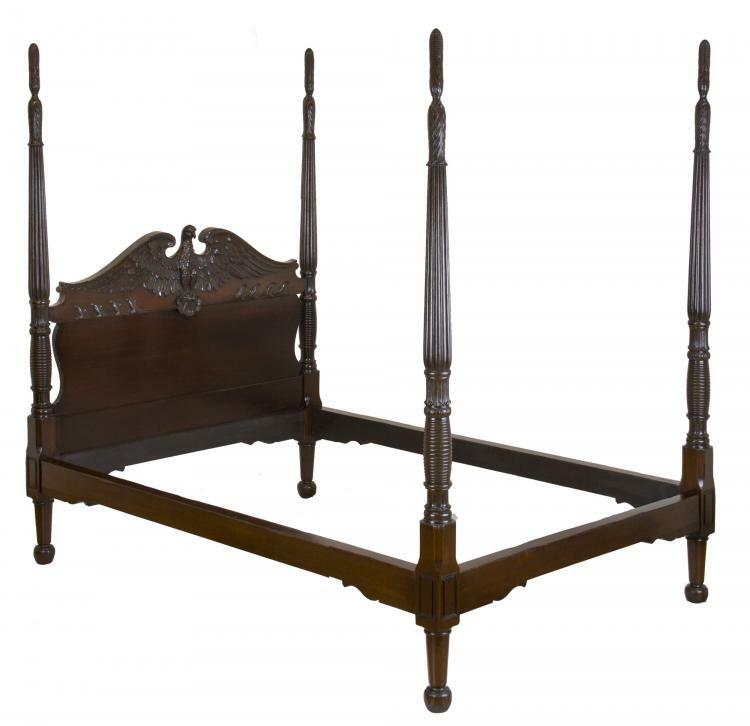 This bed was deaccessioned as surplus from the Newark Museum and relates to the time Berry B. Tracy curated their collection and put these great classical forms in their historic context, relating to the golden period of carved wood classical furniture. It's the best. 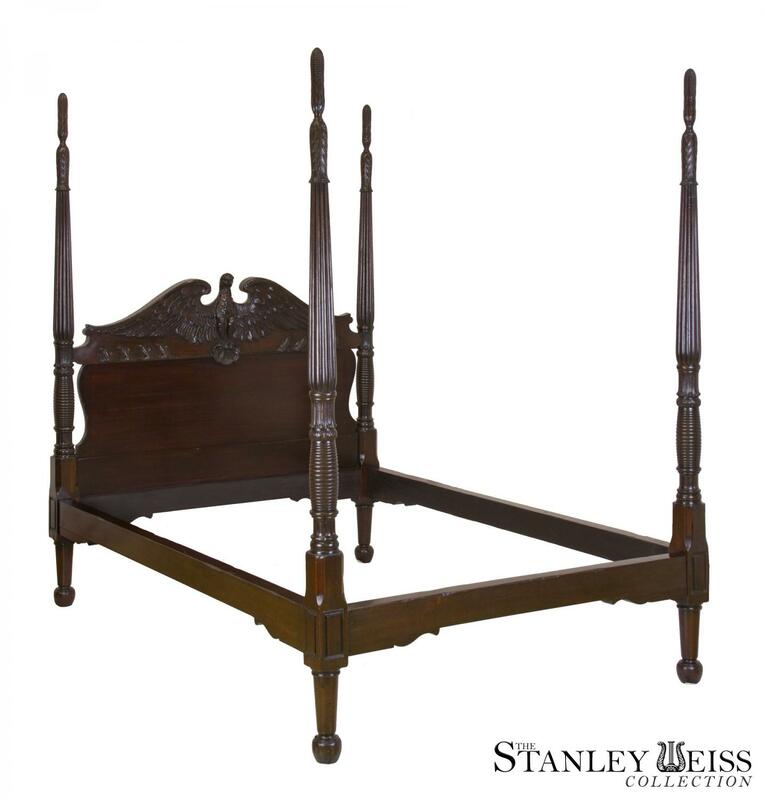 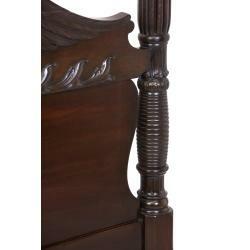 This bed has no alterations or modifications, although beds of this type are often extended to queen size. A mattress and box spring can be custom made for this bed.